In my previous post I explained why relying on willpower is usually a dead end. I also introduced the Column of Change. Here are the three tips I mentioned to support your efforts. It’s never too late to make important changes. Tip #1: Write out a goal in a positive, visual manner and post it everywhere. For example, “I will enjoy shopping for a new suite by Feb. 15th” because I won’t be worried about trying anything on” rather than “I will lose 15 pounds and get rid of my belly” or the dreadful cliche, “I will get in better shape and lose weight.” Post it on your bathroom mirror, in your car, at work, in the kitchen, in the garage and wherever you might slip up and return to your destructive patterns. Repeat it to yourself, say it out loud. Visualize the outcome. See and feel it happening with every positive choice you make. Most successful entrepreneurs write down a specific goal and refer back to it often. If this goal is important to you, treat it that way. Reminder, your goal is supported and will be achieved with your new habits that you listed in your productive column (outlined in the previous post). Tip #2: Break free from bad associations and fortify healthy ones. Protect, fortify and guard a healthy lifestyle. I know many of you navigate pot holes, bumps in the road, brick walls and everything in between. I would ask you to think about the top three things that cause you distress and that lead to unproductive behavior. How do these play into your habits and how do they contribute or detract from your goal? Can you see a pattern or triggers? Consider your every-day surroundings, people, places and things. These have a great deal of influence on you. Work or career, emotional baggage and scars, money concerns and most definitely, how well you manage your stress. You are in charge of creating and maintaining healthy space and positive vibrations in and around your daily activities and with your thoughts. Pretty tough to break a bad habit when you hang around its friends all day. How’s your lucky 2013 so far? I’m honored to kick it off with you and I hope you’ll share your journey, the ups and the downs and how you break through those brick walls. 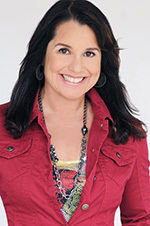 If you need additional help, please check out my good stuff at http://tinaandersonOC.com. This entry was posted in Fitness Lifestyle, Motivation and tagged achieving goals, bad habits, breaking habits, fitness, goals, habits, health, setting goals, weight loss. Bookmark the permalink.